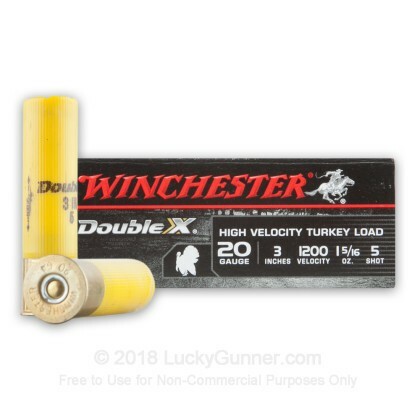 This magnum 20 gauge turkey load from Winchester's powerful Double-X series is a great choice for hunting gobblers. 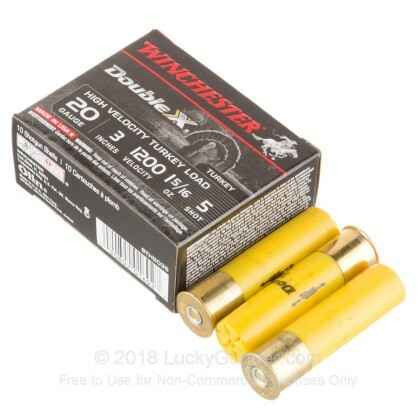 Each shell in this box of 10 fires a 1-5/16 oz. 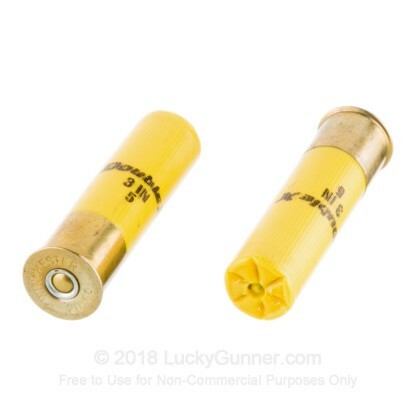 payload of #5 shot at a muzzle velocity of 1,200 feet per second, knocking down birds with tight, dense patterns that ensure a clean kill on a well placed shot. 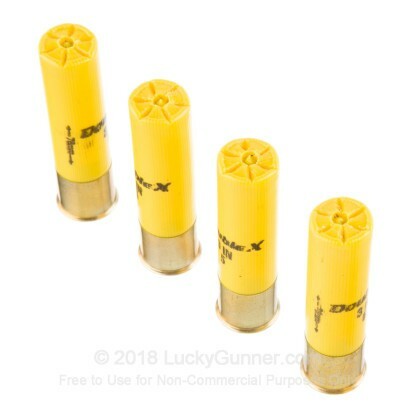 For better resistance to deformation, these shells use copper plated shot and Grex buffering. Reduced deformation keeps pellets in formation as they travel from the gun to the target, significantly increasing accuracy. These shells are loaded at Winchester's ammunition factory in Oxford, Mississippi. The Oxford plant employs over 1,000 people and opened in 2011. 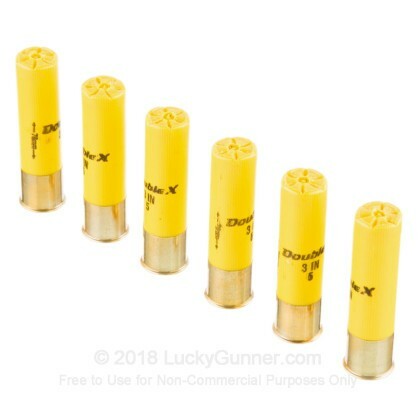 Pick up a box or two of these premium 20 gauge turkey loads and get out in the field soon! 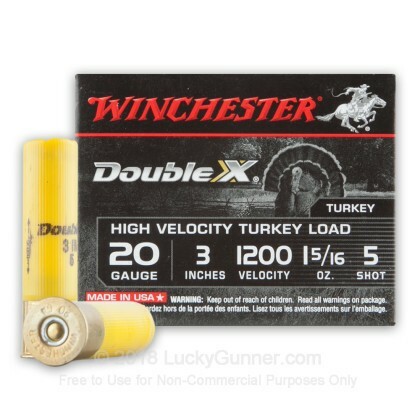 We also have this 20 Gauge - 3" Double-X Turkey #4 Shot - Winchester - 100 Rounds ammo in stock in a bigger quantity.